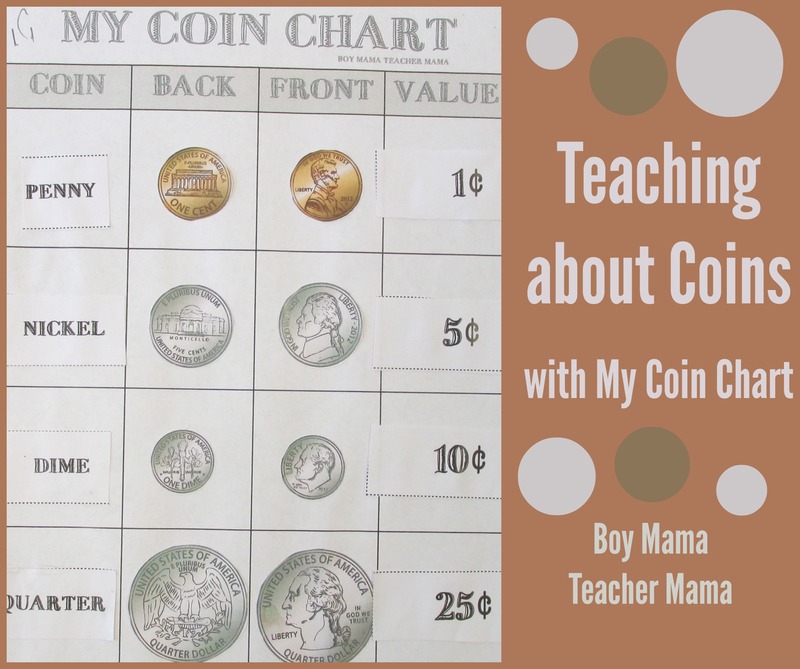 We have moved onto learning about coins in my first grade class- identifying which coin is which and what their values are are the first step. 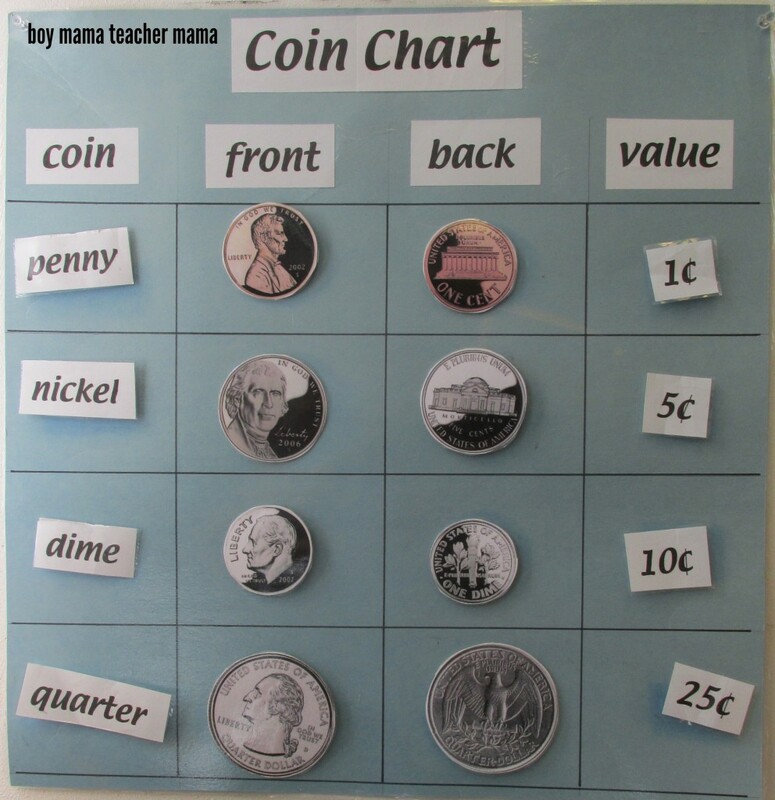 I created this coin chart for the class. 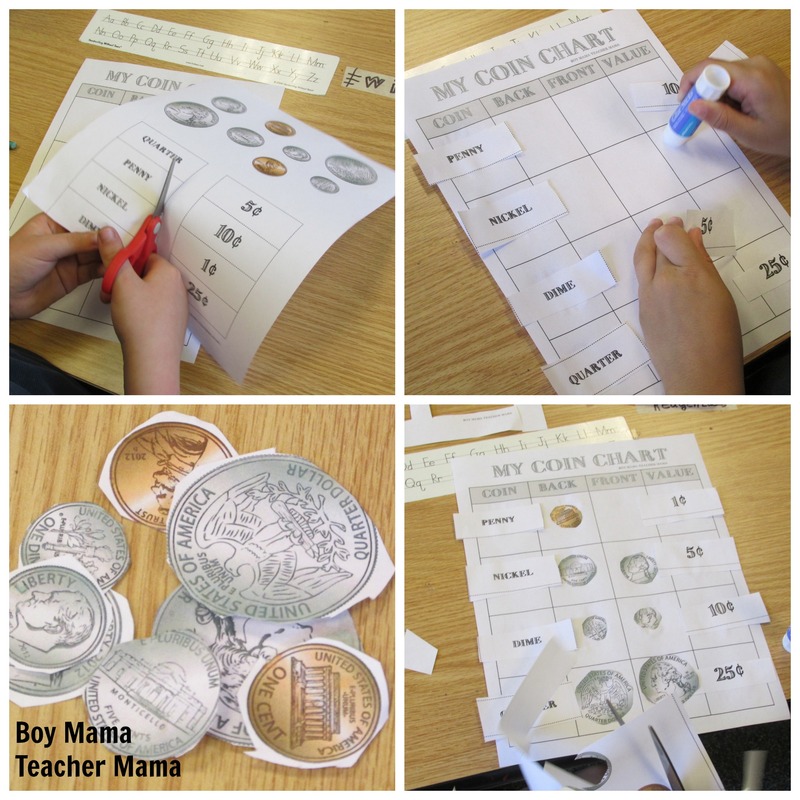 All the names of the coins, their values and their faces are attached using velcro so we can manipulate them as needed. Sometimes in the morning, I will have them all mixed up and ask the kids to fix them. Sometimes I remove one column and ask them to put them back. 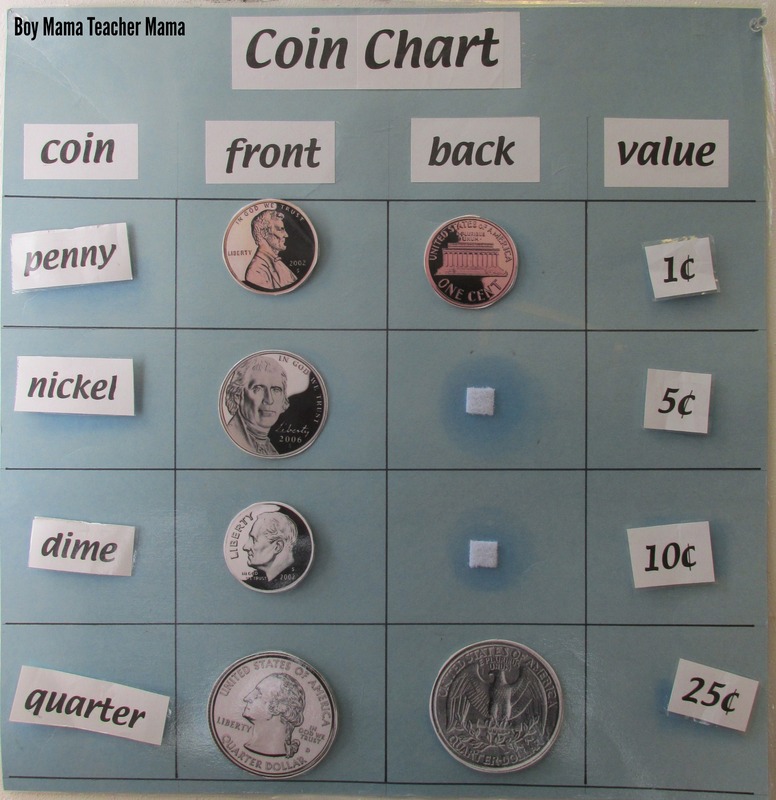 We refer to the chart all the time and I find kids looking at it throughout the day to help them when needed. 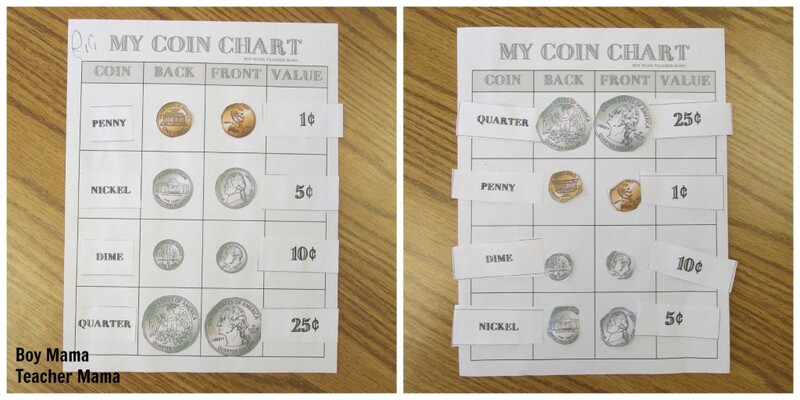 Directions: Have students cut out the coins, the coin names and their values. 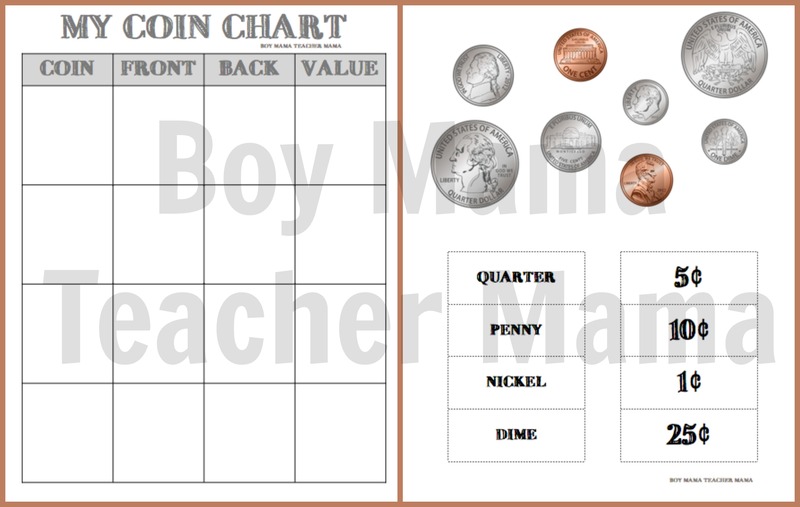 Then, beginning with the penny and ending with the quarter, they glue the pieces onto their chart to create their own coin chart to take home. One of my students decided to tape his pieces on instead of gluing them so he could practice with it at home like we do in class! I love it when students come up with things I had not thought of!